Barge FC will take on Lee Mount in the inaugural final of the Ziggy’s Metro Cars Invitational Sunday Cup at Old Earth, Elland next Sunday. A David Woffenden hat-trick helped Matthew Bagshaw’s Barge side defeat Beehive & Crosskeys 6-1 in the second semi-final yesterday. Graham Pugh had an early headed opportunity for Barge, whilst Beehive’s leading marksman Nick Green saw an effort of his own cleared off the line by Andy Salm. Beehive were combative and quick to press against their division higher opponents, with Matthew Horsfall standing out with good midfield work rate. Barge always looked to carry the extra quality on the ball, however, and had their captain to thank for the game’s opening goal. Anthony McManamin burst from his defensive berth and released a fine pass into the path of Woffenden who produced a calm finish. Beehive almost got level after a goalmouth melee culminated in Ian St.Hilaire almost putting into his own net, but keeper Peter Jennings made a fine reflex save. Woffenden chipped just wide and Salm headed past the post from a corner by Sam Halstead, who made it 2-0 when he broke down the right flank and applied a good finish. The visitors continued to press for a way back into the game and Green struck a post with a strong effort. Ryan Barkham shot narrowly over seconds later. The second half started with Beehive’s Thomas Lamb heading over from an Aaron Bennett corner, before their Premier Division opponents clocked up a gear and put the match out of reach. Pugh tapped home a Halstead cross for number three and Woffenden added his second after some defensive hesitancy. Halstead then fired home off the Beehive keeper to put the tie to bed at 5-0. Beehive netted a fine consolation through Adam Davis. He launched an unstoppable, dipping volley over Jennings for the goal of the match. Woffenden completed his hat-trick late on from a Jamie Cartlidge pass. 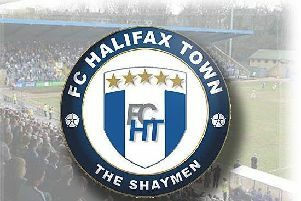 Sunday’s final will be followed by the Halifax Sunday League Awards event between 1pm and 1.15pm at the same venue.